As a result, if you’re currently serving as a partner at a small, fledgling medical group, what should your posture be towards ‘growth?’ Does your business trajectory need readjusting or remapping? Expansion, either by merging with a bigger practice or leveraging financing solutions for internal improvements, can affect positive change on health care delivery. With access to a bigger staff of physicians, cutting-edge technologies and facilities, you’re able to provide quality care to a larger volume of patients with efficiency and scalability. 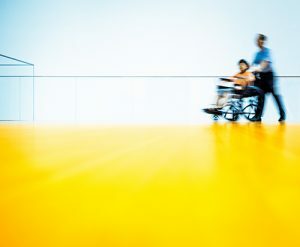 But as the findings highlight, you’ll need to weigh the trade-off: Patient volume and efficiency of care might come at the expense of intimate patient interactions distinctive to smaller practices, which often lead to a more holistic, longer range care and follow-up (and, as noted, to fewer avoidable hospital admissions). So, while practice growth is traditionally charted by revenue, profits, patient volume and market share, it could also be measured by the quality of patient-centered care that is delivered. Depth may be as vital to expansion strategies as breadth. The rising trend of primary care physicians toward concierge medical practice — or, “growing smaller” — indicates an increasing receptiveness toward quality over quantity. Growth begins and ends with your patient. What the Pareto Principle can mean for your practice. Named after Italian economist Vilfredo Pareto, the Pareto Principle, also known as the 80/20 principle, states that the “majority of results come from a minority of inputs.” Though general in scope and application, the principle nonetheless may have useful implications as you consider growth options for your practice. For example, when it comes to your patient base, the principle helps you see the importance of “high value” over “how many” (high value not necessarily implying high net worth). At Practice Builders, Alex Mangrolia identifies your high-value patients as those who “[r]efer your practice to others,” “[a]re willing to pay full price” and “[a]lways pay on time,” among other criteria. From a marketing standpoint, developing concrete personas of high-value patients based on these characteristics, along with factors like demographics, location, consumer habits and tastes, will help you create an effective outreach plan that targets those patients. And if 80 percent of your revenue does come from just 20 percent of your patients, focusing on delivering exceptional care for the 20 percent of high-value patients enables you to preserve the intimacy (as well as increase profitability) of your practice. This, in turn, will impact your broader patient base. Consider the strategic use of lines of credit or lending solutions that will enhance your patient experience. In your case, that may mean an upgrade in medical technology or payment systems, which save valuable time for you and your patient so that personalized care, rather than the stress of operations and transactions, stays front and center. 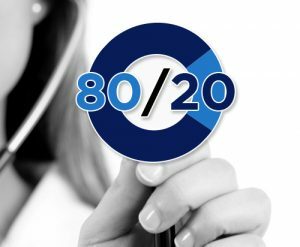 When applied to your medical practice, the Pareto Principle proposes the delivery of better care and deeper investment for a select group of patients over nominal treatment for the many. But for you, a physician and partner with financial stakes in your practice, the key takeaway from the principle may simply be this: Remember to stay patient focused and patient centered. The information mentioned in this article is for informational purposes only, is intended to provide general guidance and does not constitute legal or tax advice. Each person’s situation is unique and may materially differ from the information provided herein. You should seek the advice of a financial professional, tax consultant and/or legal counsel to address your specific needs before any financial or other commitments regarding the issues related to your situation are made. Popular Bank does not make any representations or warranties as to the content contained herein and disclaims any and all liability resulting from any use of or reliance on such content.